What is the cheapest way to get from Cornell University to Bucknell University? The cheapest way to get from Cornell University to Bucknell University is to drive which costs $14 - $22 and takes 2h 51m. What is the fastest way to get from Cornell University to Bucknell University? The quickest way to get from Cornell University to Bucknell University is to drive which costs $14 - $22 and takes 2h 51m. 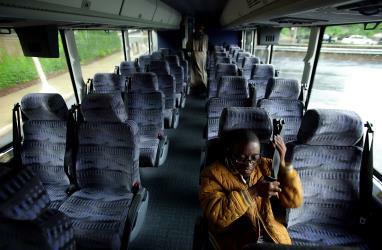 Is there a direct bus between Cornell University and Bucknell University? No, there is no direct bus from Cornell University to Bucknell University. 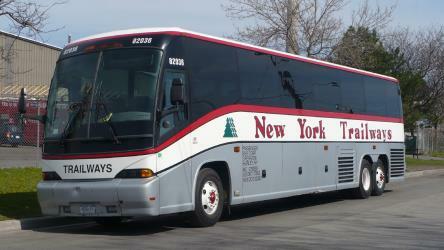 However, there are services departing from Ithaca, NY and arriving at Lewisburg via Elmira, NY. The journey, including transfers, takes approximately 5h 12m. How far is it from Cornell University to Bucknell University? The distance between Cornell University and Bucknell University is 106 miles. The road distance is 148.9 miles. How do I travel from Cornell University to Bucknell University without a car? 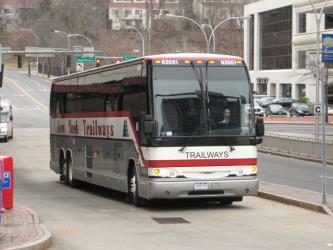 The best way to get from Cornell University to Bucknell University without a car is to bus which takes 5h 12m and costs $40 - $85. How long does it take to get from Cornell University to Bucknell University? It takes approximately 5h 12m to get from Cornell University to Bucknell University, including transfers. Where do I catch the Cornell University to Bucknell University bus from? 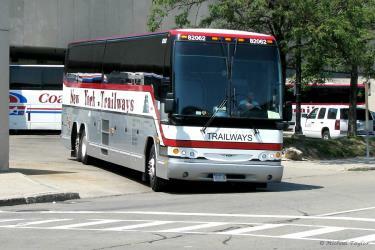 Cornell University to Bucknell University bus services, operated by Trailways New York, depart from Ithaca, NY station. 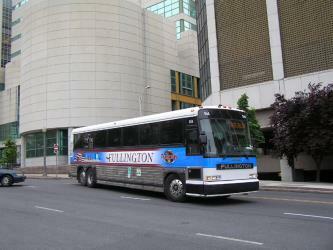 Where does the Cornell University to Bucknell University bus arrive? 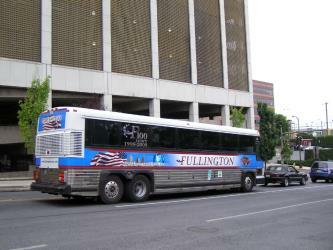 Cornell University to Bucknell University bus services, operated by Fullington Trailways, arrive at Lewisburg station. Can I drive from Cornell University to Bucknell University? Yes, the driving distance between Cornell University to Bucknell University is 149 miles. It takes approximately 2h 51m to drive from Cornell University to Bucknell University. Where can I stay near Bucknell University? There are 21+ hotels available in Bucknell University. Prices start at $71 USD per night. What companies run services between Cornell University, NY, USA and Bucknell University, PA, USA? You can take a bus from Cornell University to Bucknell University via Ithaca, NY, Elmira, NY, and Lewisburg in around 5h 12m. Bucknell University is a private liberal arts college located alongside the West Branch Susquehanna River in the town of Lewisburg, in central Pennsylvania, United States. The university consists of the College of Arts and Sciences, College of Management, and the College of Engineering. Bucknell was founded in 1846, and features programs in the arts, humanities, sciences, social sciences, engineering, management, education, and music, as well as programs and pre-professional advising that prepare students for study in law and medicine. It offers nearly 50 majors and over 60 minors. Shikellamy State Park is a 132 acre Pennsylvania state park located at the confluence of the West Branch Susquehanna River and Susquehanna River in Pennsylvania in the United States. The park is divided into two sections. The older part, on a bluff on the western bank of the river, is the 78 acre Shikellamy overlook in Union Township, Union County. The newer part is the 54 acre marina on the southern end of Packer Island in Upper Augusta Township, Northumberland County. Packer's Island lies between the city of Sunbury and the borough of Northumberland at the confluence of the two branches of the river. The Joseph Priestley House was the American home of 18th-century British theologian, Dissenting clergyman, natural philosopher (and discoverer of oxygen), educator, and political theorist Joseph Priestley (1733–1804) from 1798 until his death. Located in Northumberland, Pennsylvania, the house, which was designed by Priestley's wife Mary, is Georgian with Federalist accents. The Pennsylvania Historical and Museum Commission (PHMC) operated it as a museum dedicated to Joseph Priestley from 1970 to August 2009, when it closed due to low visitation and budget cuts. The house reopened in October 2009, still owned by the PHMC but operated by the Friends of Joseph Priestley House (FJPH). Milton State Park is an 82 acre Pennsylvania state park in Milton in Northumberland County, Pennsylvania in the United States. The park is on Montgomery Island in the West Branch Susquehanna River, just east of the village of West Milton in Union County. Milton State Park is on Pennsylvania Route 642. Lewisburg Historic District is a national historic district located at Lewisburg, Union County, Pennsylvania. The district includes 853 contributing buildings, 2 contributing sites, 11 contributing structures, and 2 contributing objects in the central business district and surrounding residential areas of Lewisburg. Notable buildings include the Derr House (1773), 19th century and early-20th century Bucknell University buildings including Old Main and Bucknell Hall, Union County Courthouse (1856), U.S. Courthouse and Post Office (1933), Himmelreich Library (1902), First Presbyterian Church (1856), Christ Lutheran Church (1901), Union National Bank (1899), McClure Building (1913), Campus Theatre (1939), and the Buffalo Mills (1883). Also located in the district are the separately listed Chamberlin Iron Front Building, Packwood House-American Hotel, and Reading Railroad Freight Station. Contributing sites are the Lewisburg Cemetery and Soldiers Memorial Field. The contributing structures include five railroad bridges and the contributing objects are the Soldiers Memorial Monument (1901) and a commemorative plaque. Rome2rio makes travelling from Cornell University to Bucknell University easy. Rome2rio is a door-to-door travel information and booking engine, helping you get to and from any location in the world. Find all the transport options for your trip from Cornell University to Bucknell University right here. Rome2rio displays up to date schedules, route maps, journey times and estimated fares from relevant transport operators, ensuring you can make an informed decision about which option will suit you best. Rome2rio also offers online bookings for selected operators, making reservations easy and straightforward.